A good portion of the packaging knives that we offer at AQS are toothed knives. 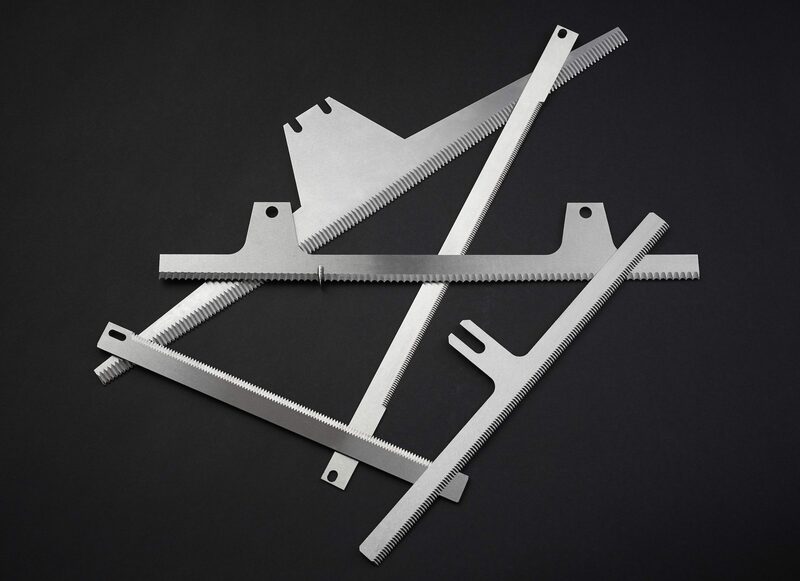 Our factory uses precision CNC grinding methods to produce toothed blades with individually ground teeth with sharpness and tolerances matching the OEM or our customer’s exact specifications. We also offer toothed knives with custom tooth pitch and angle. These blades are available in a variety of alloys, from stainless steel to high durablity, high grade alloys to allow for extended life. One of the most common toothed knives that we offer are the zig zag blades. These knives are used on HFFS and VFFS machinery to make easy tear notches using perforation techniques. Think about your average bag of M&Ms, those bags are easier to open because they are cut with the zig zag blades. We offer the following types of zig zag knives: straight, diagonal, microedge, extreme angle, variable pitch, v-notch, and slot notch. As will all of our knives and blades, these come with our quality guarantee for the life of the knife, to be to OEM standards and free from any workmanship or material defects.